Deb Welch has compiled and written a “now” word for the state of Arizona. 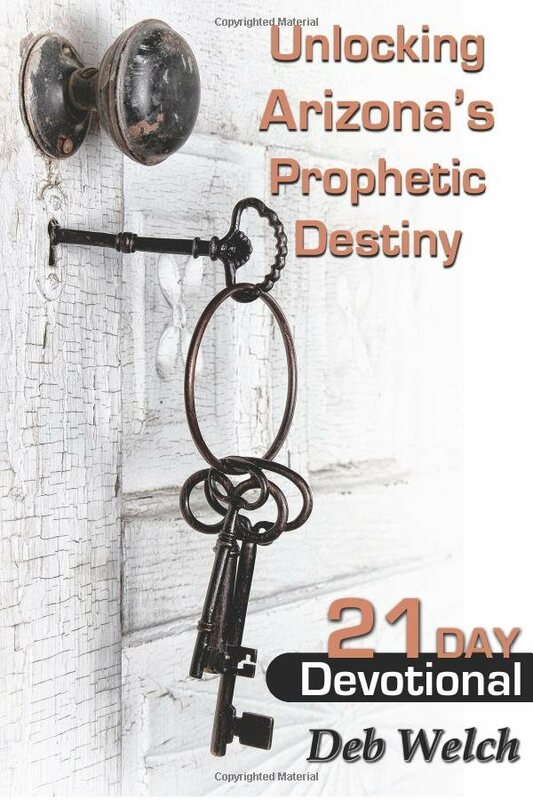 This prayer guide and devotional will prove to be a key tool that will empower the prayer movement to deeper depths of personal encounters with the Lord and new measures of prophetic and strategic breakthrough. 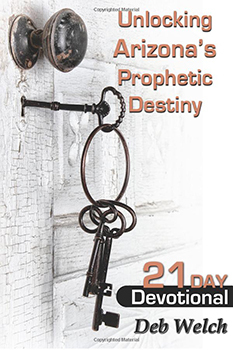 Unlocking Arizona’s Prophetic Destiny is a prayer initiative that every leader, intercessor and believer in Arizona should engage in. The impact this unified focus will bring will be life changing to all who join and for the state. Deb is passionate about mobilizing and equipping the body of Christ to engage in an intimate, fiery relationship with Jesus. The Lord called her to be a “fire-starter” and in 2006, she launched Lite the Fire. Deb and her husband Jack lead the ministry together. They facilitate “The Torch” non-stop prayer initiative and are also the Arizona State leaders for SPAN (Strategic Prayer Apostolic Network), a global prayer network lead by Becca Greenwood, Christian Harvest International. Deb has written articles for Pray Magazine and Breaking Christian News, developed numerous training materials, speaks at conferences and schools and has led prayer teams to pray onsite both within the US and Internationally. The Vision of Lite the Fire is to Ignite the Generations for Breakthrough and Transformation through prayer, impartation, training and activation.